The Political Dr. Seuss – Documentary film – Independent Lens/PBS … Wonderful section of PBS website devoted to the Seuss documentary, his life, his work and links to more. Dr. Seuss World War II Cartoons Reflect Author’s Politics and Imagination … 05/31/2012 | The Huffington Post … While Dr. Seuss may be best known for works like The Cat in the Hat and Green Eggs and Ham, he was also a prolific political cartoonist during World War II. 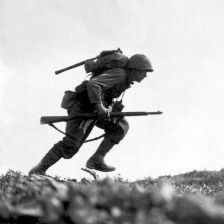 Seuss covered the war from a unique angle that presented progressive opinions ornamented with entertaining flights of fancy. Dr. Seuss and the Holocaust in France …07/16/2012 | JNS.org … Seventy years ago this week, 15-year-old Annie Kriegel was sitting in her Paris high school classroom when her mother burst into the room and warned her not to come home—the Nazis were rounding up to deport any Jews they could get their hands on. More than 3,000 miles away, the cartoonist known as Dr. Seuss was setting pen to paper to alert America about what was happening to the Jews in France. 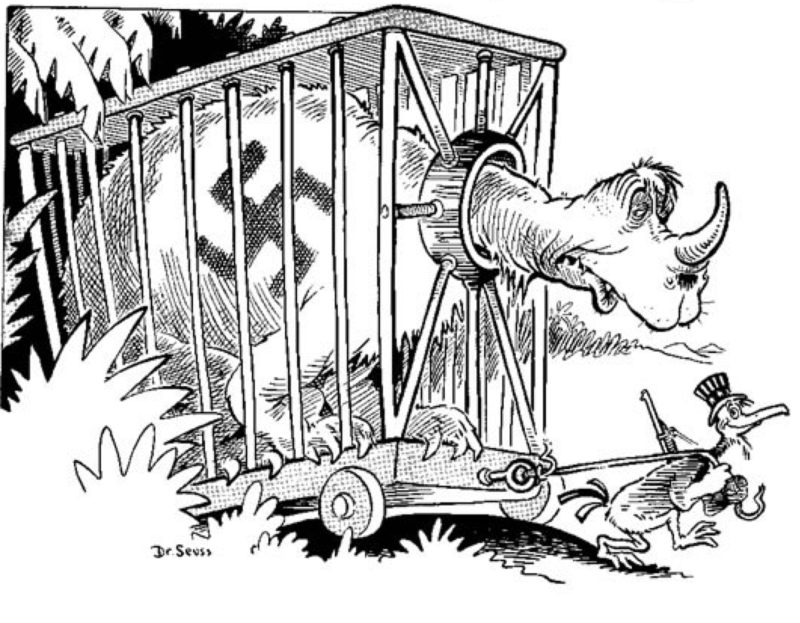 11 Interesting WWII Era Cartoons by Dr. Seuss … 06/24/2013 | BuzzFeed News … Shows cartoons of Dr. Seuss, (aka Theodore Geisel), who worked as the chief editorial cartoonist for New York magazine PM from 1940-42. Dr. Seuss’s Racist Anti-Japanese Propaganda (and His Apology) … 02/20/2013 | Tofugu (Blogsite) … When I found out that Dr. Seuss made anti-Japanese propaganda, I was a pretty shocked. How could the author of Cat in the Hat and One Fish Two Fish Red Fish Blue Fish have created such ugly caricatures? WWII was a time for American artists to use their talents to make racist propaganda for the war effort. The Dark Side of Dr. Seuss … Dartmouth | Hannah Cho ‘07 … Theodor Seuss Geisel, or the beloved Dr. Seuss, not only wrote children’s books about One Fish, Two Fish, Red Fish, Blue Fish, but also illustrated political cartoons on topics ranging from tax exemptions to racism. Happy Birthday Dr. Seuss! A Look at His (Jewish) Cartoons … 02/02/2015 | The Jewish Daily Forward (Blog) … Examples of Seuss’ cartoons have him sounding a warning bell, urging Americans to take action against Hitler’s massacre of Europe’s Jews, while shining a spotlight on the anti-Jewish sentiment at home in the U.S.
And lastly, Seussville.com … for a look at the Dr. Seuss we all remember best. • Yertle the Turtle was meant to symbolize Hitler and a warning against fascism.